The locks installed on your home’s exterior doors are the best defense against break-ins, burglaries and home invasions. If the locks at your home were installed by an unlicensed locksmith, or they are weak or ineffective, your home’s security is compromised. At Holder’s Security, we provide licensed locksmiths to handle your residential needs. We carry the highest quality inventory of deadbolts, lever locks, knob locks, padlocks, cabinet locks, and other home lock supplies in the area. 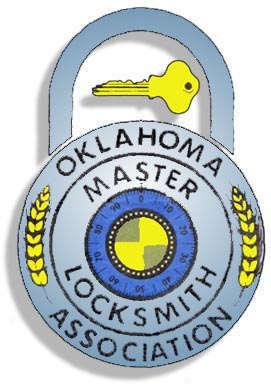 How can our best Tulsa locksmiths help improve the security at your home? There’s a variety of reasons why your home’s doors may need new locks. Whatever your reason, Holder’s Security is the only call you need to make. 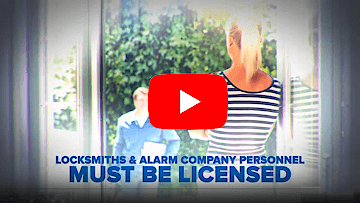 Our licensed locksmiths have the experience to provide you with expert recommendations to ensure your new door locks are the best fit for your home, and how you’ll be using them. When a Holder’s Security locksmith comes to your home, they provide comprehensive service. Rather than simply replacing a door lock, our locksmiths will provide a complete assessment of each door’s security including the door handle, deadbolt, strike plate, additional locks, and more. The result is security you can rely on from each and every exterior door in your home. It’s happened to all of us. You go to unlock your front door and you don’t have your keys, or the lock doesn’t work. Never fear, Holder’s Security provides 24 hour emergency locksmith service with fast response times. Our experience and expansive inventory allows us to even service older Tulsa area homes with locks and door handles old enough to be antiques. As always, our locksmiths will not only get you in quickly, but they’ll also provide maximum value and leave you with recommendations on how to improve your door’s security. Install additional security for your doors now, or call us to come back later. Just east of Sheridan Ave. on 40th Street in Tulsa, Oklahoma, you’ll find Holder’s Security and our 8300 foot showroom stocked with locks, keys and other home security equipment and accessories. You’ll also find the largest selection of keys in the area with multiple thousands of key blanks, which allows us to fit almost any lock you bring in. Our licensed locksmiths provide high accuracy cutting of keys, with a low percentage of mis-cuts, which means you’ll be on your way quickly with working keys. Our key cutting services aren’t only limited to home locks, either. We also duplicate transponder keys for most vehicles, as well as auto remotes. If you’ve recently purchased mass produced locks from a hardware or home improvement store, bring them to us and we’ll make them unique so you don’t share the same key as other customers of that store. We can also help you simplify your home’s locks so they all share the same key.